Some people just shouldn't have guns. They don't understand the concept of safe gun-handling techniques, but they think it looks easy, so they want to try it out. That's where I come in. I teach people how to shoot safely under stress. Not everybody is quite up to the challenge. If they can't hack it ... by the end of the afternoon, they know it better than I do. And I know it. I watch them pass or fail, and I never have tell them that they have failed the course: I never see them again. It's as simple as that. Yeah, I bet you get tired of hearing how excited I am about teaching a new lot of folks how to compete safely in IPSC competition. But I don't get tired of talking about it, and I don't get tired about the joy of watching new wanna-be competitors having fun shooting even the most mundane (or the most challenging) of live-fire exercises. I've been doing this for four or five years now. Fifty percent of the people I teach don't attend more than a single match, if that. They're not all here for the competition; they're as often here to check it (competition shooting) out and see if this is something that they want to spend their time and money on. It's a self-fulfilling prophesy: They get some trigger time in, realize that *(a) they don't think they're good enough to do this, or *(b) they think they might be good enough ... in time .. but they don't care enough to spend the time to be 'good at it'. Sometimes ... enough to make it worth my effort ... they prove to be safe, accurate, interested competitors that I wouldn't mind squading with. 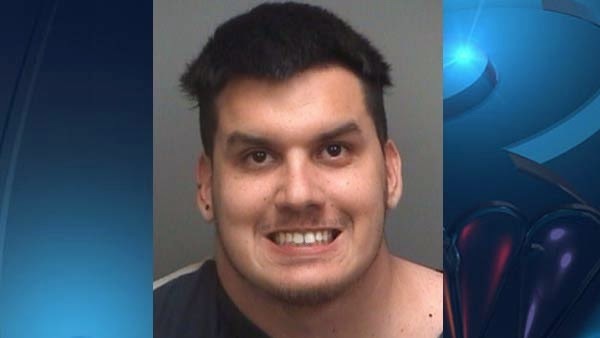 A schizophrenic Florida man chopped off his mother's head with an ax because she kept nagging him about chores, police said Thursday. Christian Jose Gomez, 23, who has several previous arrests, was booked on a charge of first-degree murder for the grisly New Year's Eve crime in Oldsmar. He allegedly told police he had been planning the attack for two days because he was angry over his mother's requests that he put some boxes in the attic, NBC station WFLA reported. Gomez put his mother's head in a garbage can but couldn't lift her body so he left it outside. It's a good thing that no guns were involved; otherwise, people would think that guns are the reason why people kill people. Some people are inherently violent. In this case, the story made the news specifically because the crime was so horrendous. If the murder was committed by a firearm, the story would have appeared low down on Page 7. The people who think that people kill people because it's so easy to kill with a gun would have been all over this story. Axe murders have always been "popular": Lizzie Borden (1892) found this an easily ready weapon. There were no axe-control advocates back then. Perhaps there should have been? If only for the children. DETROIT, Mich. (WJBK) - Two people were shot to death on Detroit's east side Wednesday. Both victims were getting into a vehicle in the 4000 block of University Place near Mack Avenue at about 6 p.m. according to Detroit Police. Another vehicle arrived and opened fire, killing a man and woman in their 30s in a driveway of a residence. "Not the way you want to celebrate the end of 2014." Given the apathetic state of Detroit Denizens, perhaps they should change the name from "Motor City" to "Motiveless City". NOTE: This is NOT the incident reported here. Screw politics. I wanna shoot something ... and it's raining outside! So you think you can shoot a handgun. Check this one out. Try it: see how good you are with a Russian pistol. ( All text is in Russian. ) Save money and ammunition too! The virtual pistol is a Soviet Tokarev Model 40, in caliber 7.62 mm. It is quite accurate.Being virtual, it will lack the actual 'feel' and the recoil. In real life, at each shot, the recoil will throw your aim off the target. When the pistol appears, click on the trigger, take aim, and fire. It’s very much like the real thing.The longer you hold the pistol, the more your aim will wander. You have 3 shots in 30 seconds to hit the target and get your score. Click on the white dot on the trigger guard to start, after your 3 shots click on first line in box to try again.Enjoy! The link opens in the same window ... you may wish to right-click it. Geek addendum: yes, I tried and and it is addictive. I got a lot of high-twenty scores out of 30 possible, but never got the perfect score. I quit after 10 minutes. Here's the real challenge: can you do this for 10 minutes and quit?